At The Dog Line it is very important to us that you get the results you wanted. 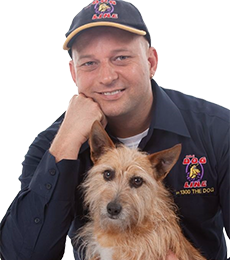 We want you to get the right product for the right job so that you and your dog have a better relationship together and life is even easier than before. If you are not happy or the product is not what you thought then send it back and we will swap it for the one you want. After all, you bought it for a reason and we want to make sure you achieve your goal. There are a few things we would like to happen in order for us to offer the returns. We will need the original product to be returned in it’s complete packaging as new. If you have opened the package, lost the manuals, damaged the box or used the product, we will not be able to offer a full credit. We offer our customers a promise to supply new products (unless advised) if a product has been opened or used we will not be able to honour this and will only be able to offer it second hand. If as above the product / box has been opened and / or used, we would not be able to offer full credit but we would still be able to offer you our 6 Month Trade In Guarantee mentioned below this page. The shipping charges for the original purchase and the cost of shipping a new product to you is not covered by this offer. You will need to cover the cost of returning the goods and we recommend you send any products back to us using some sort of trackable (and insured) post. We are not able to take responsibility for lost parcels. We will have to deduct a service charge of $10 for the administration and handling. Whilst we are happy to offer advice and recommendations to your purchase, the end decision to buy a product will always be yours. We are not responsible for a purchase error on so our guarantees apply in full to all purchases. *Please check the details of each product group for eligibility. What if the product you buy is working as it should, but it is not solving the problem or getting the results you need and planned on. We know that each dog is different and there are a lot of factors that go into their training needs. Personality, temperament and the environment it lives in, all play a role in their behaviour. To get the best results the dog does need to be trained to the product so it recognises and understands the collar and what it means. each of our kits include a training guide that will make the training process as easy as possible for you and... easy on your dog as well. If... you are still not getting the results but the collar is working then you are covered by our 30 Day Results Guarantee. 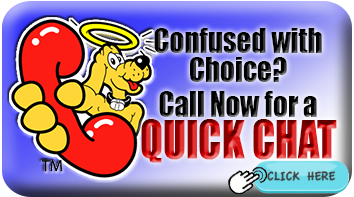 We expect you to get results almost immediately. If you don’t - We got you covered. • Each product comes with an owner’s manual and our step by step training guide. Please read this before using the product and follow the fitting and training steps for best results. • If the product is working when tested but not doing the job, you are covered by the 30 Day Results Guarantee. This guarantee is offered only after having consulted with our support team and followed their advice. • The cost of return shipping will be covered by the purchaser. When returning the product for exchange please use a trackable (and we recommend insured) post - we can’t assist with products we do not receive. The cost of the original shipping and the cost of shipping the new product to you is is not included and must be paid prior to shipping the new product. • Please return the product in as new condition - within reason. All packaging, owner’s manuals and instruction booklets will need to be returned as well. • There will be a minimum restocking and handling fee of $12.00. This may be increased depending on the condition of the returned product. If we are unable to reuse or resell the product due to it being in poor condition, we will not be able to offer an exchange and the product will need to be returned to you at your expense. An unprecedented offer from The Dog Line. “What if my dog grows out of it, or I just want to upgrade to a better model?” - Trade it in! Things change so we don’t want you to be stuck with something that is not working for you. If you find that you need to consider another product then we can do a trade-in. The trade in value depends on how long you have owned the product and the condition it is in. Obviously we will need to re-sell the product and still offer our great services. Contact us to talk about what you are experiencing and we can go through some alternatives for an upgrade. You will have to return the product to us using some sort of trackable (and we recommend insured) post. The cost of return post will also need to be covered by you, the purchaser. The time you have owned the product, scratches, dents, dog chews and general wear and tear will all play a part in the trade-in value. For your convenience, we’ve included a guide below. The value of items does not include the cost of consumables such as batteries, straps or spray refills. Before we can offer a confirmed value the product will need to be returned to us for inspection but it will not be too far away from our guide (unless the product is very worn and torn). The guarantees and policies on this page does not apply to all product groups. 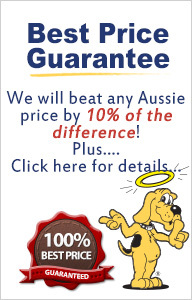 For Electric Dog Fence guarantees and policies, please see the Electric Dog Fence pages.